On 8 December 2005, the UN General Assembly declared that the 4th of April each year shall be observed as the International Day for Mine Awareness and Assistance in Mine Action. 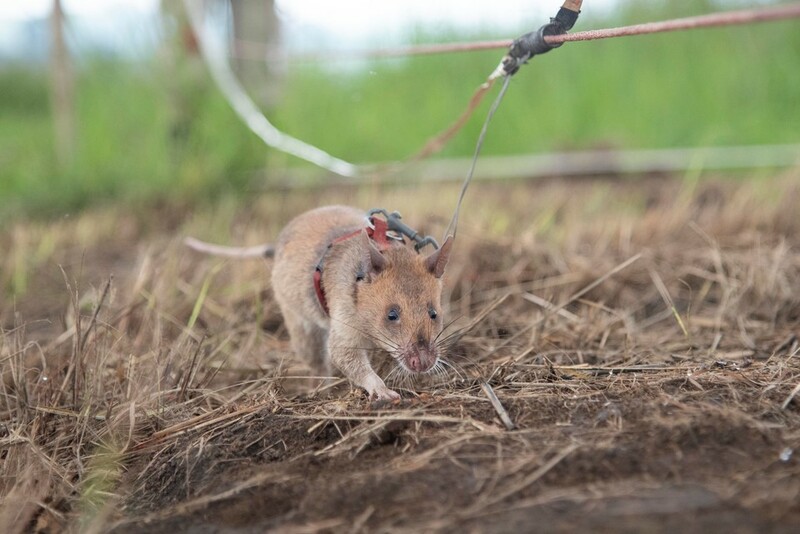 Each 4th of April APOPO reflects back upon our work and celebrates the achievements of our staff, partners, and landmine detection animals, likewise, seizing the day as an opportunity to recommit to the hard work that remains. For this year’s theme the UN promotes “SDGs-Safe Ground-Safe Home”. The Geneva International Centre for Humanitarian Demining (GICHD) together with the United Nations Development Programme (UNDP), carried out a study in 2017 which found that 16 of the 17 Sustainable Development Goals (SDGs) are directly or indirectly connected to Mine Action (MA). 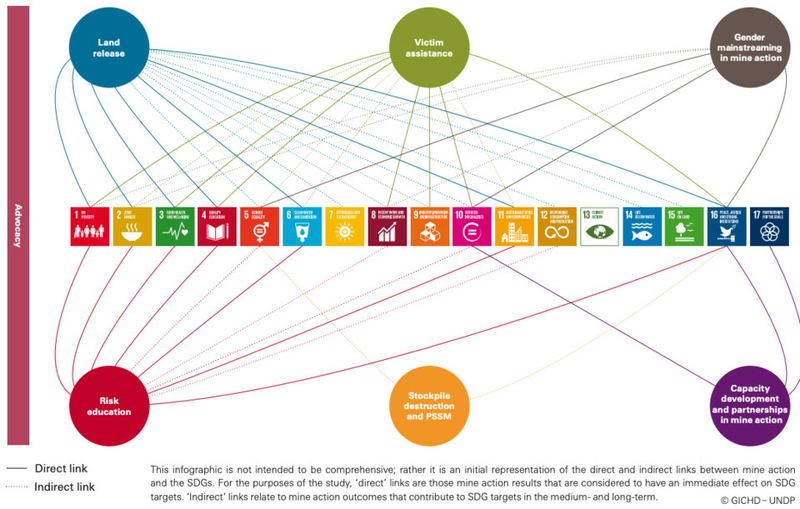 For APOPO, this is significant because in many cases the SDGs are important drivers informing funding, development policy and strategic decisions in national, regional, and international fora. The linkages between MA and the SDGs are also important findings in support of the integration of humanitarian mine action into national development strategies, rather than marginalising demining as an isolated or independent activity separate from development activities. Long before the inception of this meaningful study, for the mine action operators deploying their teams daily to mine-affected communities, the links between demining and development have always been a tangible, palpable reality on the ground, visible from community-led informal follow-on activities to the organised efforts of leading global development agencies and all variations in between. 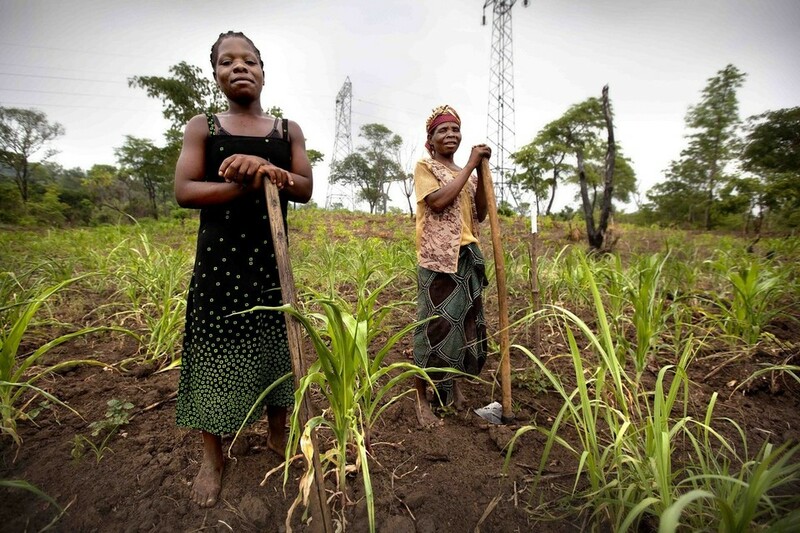 For APOPO’s part, we have seen communities in Mozambique planting crops-metre-by-metre just behind APOPO’s clearance teams to secure sufficient food for their families and winder community (SDG 2 Zero Hunger). Very recently in Angola, APOPO cleared an area slated for the construction of a municipal hospital to benefit the entire district’s population of about 35,000 inhabitants (SDG 3 Good Health & Wellbeing). 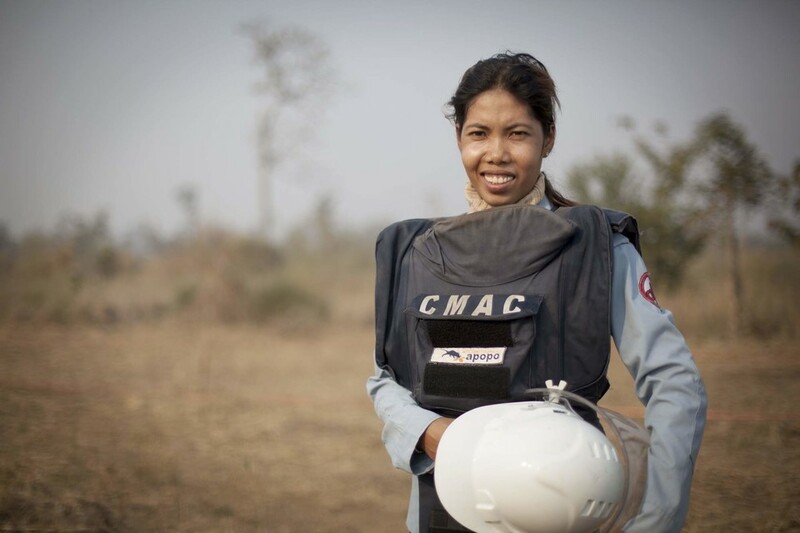 Likewise, in Cambodia, APOPO and its partner the Cambodian Mine Action Centre (CMAC) ensure that both men and women have equal access to the benefits of mine clearance through employment opportunities and training (SDG 5 Gender Equality and SDG 8 Decent Work & Economic Growth). Finally, in Zimbabwe, APOPO hopes to soon begin clearing a critical conservation area along the border with Mozambique known as the Sengwe Wildlife Corridor, an area which directly impacts many tens of thousands of people, livestock, and wildlife (including elephants and other charismatic game) (SDG 15 Life on Land). 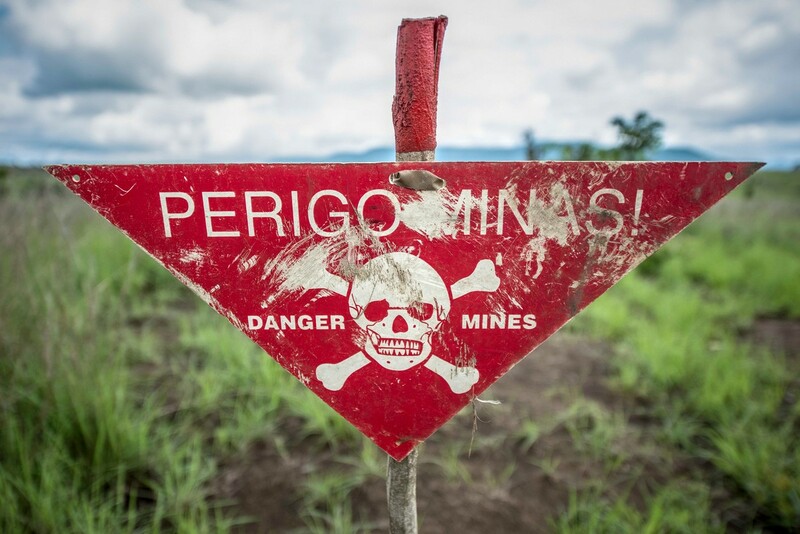 On this April 4th, APOPO is distinctly aware that the Anti-personnel Mine Ban Convention (APMBC) and its members have committed to the goal to “accomplish all outstanding obligations under the Convention, to the fullest extent possible, by 2025”. This ambitious goal can only be achieved if states, donors, mine action authorities, and mine action operators prioritise the efficiency of clearance operations, embrace innovative approaches to land release with new technologies, and collaborate effectively through strategic partnerships to maximise the funding and resources available. While we have been successful in Angola, Cambodia, and Mozambique, we now strive to sustain continued efforts in Angola and Cambodia, as well as to expand our efforts to Colombia and Zimbabwe. We have also deployed animals in South Sudan and with partners, we could further expand into more mine-affected countries and territories. Much work remains to realise a world free of mines, and as we forge ahead through the course of 2019 with a renewed focus on the continuation of our efforts within the context of the SDGs to produce safe ground for safe homes. Only with the continued support of our partners and donors, we will be able to do so. Cattle cross APOPO Mozambique’s operations along the CORSAN border minefield; yellow pickets indicate destroyed landmines; in 2014, APOPO cleared 10,134 landmines from 4km along the border from Mozambique. 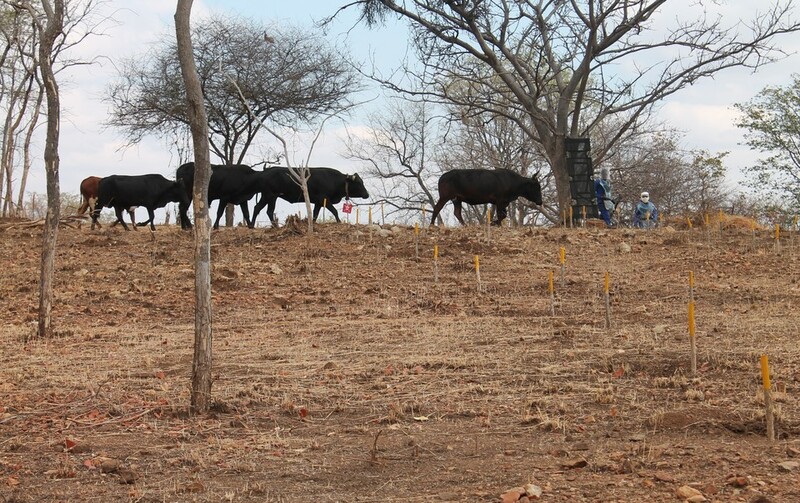 In the 1st quarter of 2018, 25 head of cattle were officially reported lost due to landmines in APOPO Zimbabwe’s task area. Cows are valued at $325 in the local Zimbabwean markets. APOPO will apply its experience from Mozambique to demining Zimbabwe. APOPO thanks its partners and donors for their generous support.